Sangla Valley or Baspa Valley in Kinnaur Himachal Pradesh is a land of the Himalayan villages with beautiful landscapes and the gushing river Baspa. 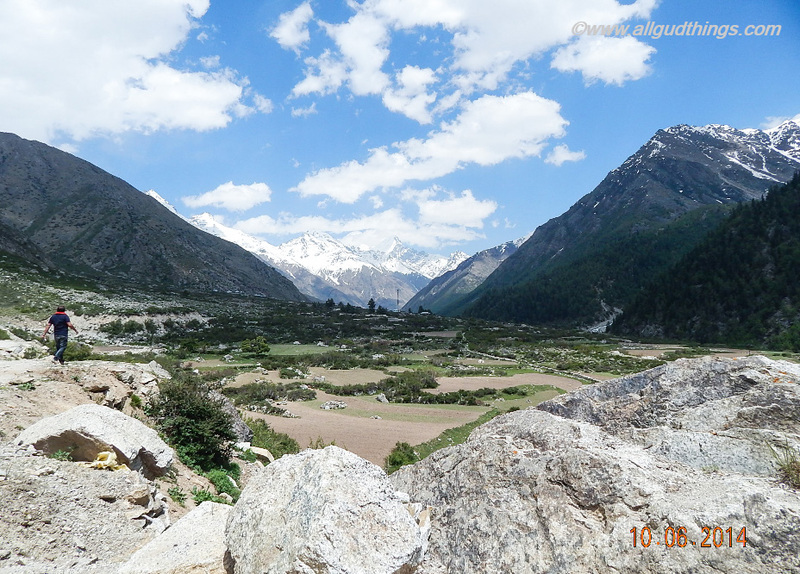 The valley starts from the village Karcham and ends at Chitkul. In fact, the village Chitkul is the last inhabited village at the Indo – Tibet/ China Border. 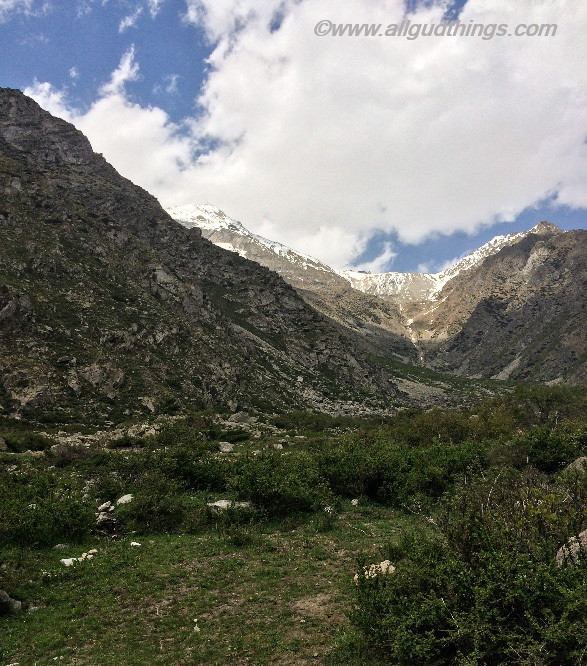 The Sangla valley is surrounded by forested slopes, plunging gorges between tall snow-capped mountains, and has thick vegetation of apple orchards, apricot, walnuts, and cedar trees. The valley is home to kinnauris and it welcomes tourist only for 6 months and for rest months it is covered with snow. That is the main reason for its enchanting beauty. Oh, Wait! 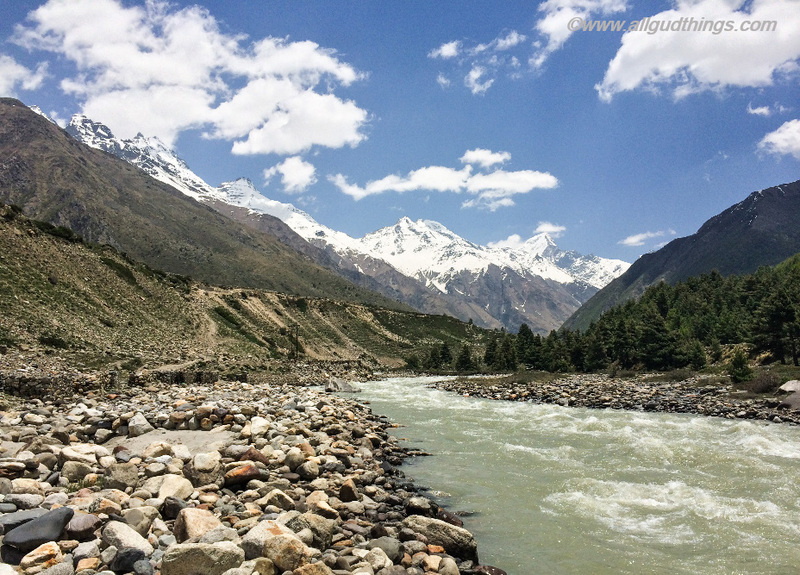 Here are the few of the photos and glimpses from my last trip, which speak for themselves because my words will be really short to explain the beauty of Sangla Valley. 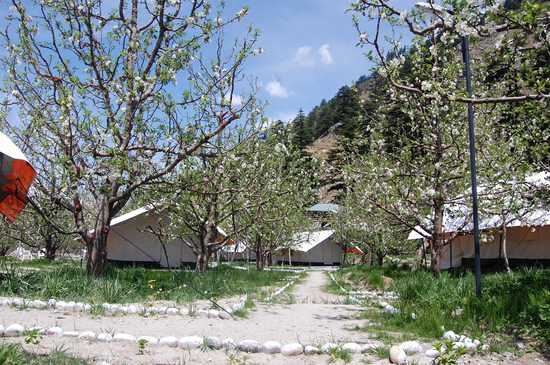 I love staying at Kinner Camps in Sangla because the huts are located in between the snow-clad mountains, Baspa river, and apple orchards. With the first ray of sunlight, the snow shines and the whole area becomes so picturesque. Chitkul, the last inhabited village near Indo-China Border is just 22 km ahead of Sangla. The roads are narrow and bumpy but the landscapes ahead are breathtaking. The amazing part is snow capped peaks and glaciers; semi-arid mountains; lush green mountains, Baspa River, Blue sky and floating clouds, all are here in one frame. The people in these villages are simply dressed and they live a simple life. They usually do farming and own apple orchards. When I got to know this, I asked my hotel owner to get me a deal for planting 5-10 apple trees in Kinnaur. 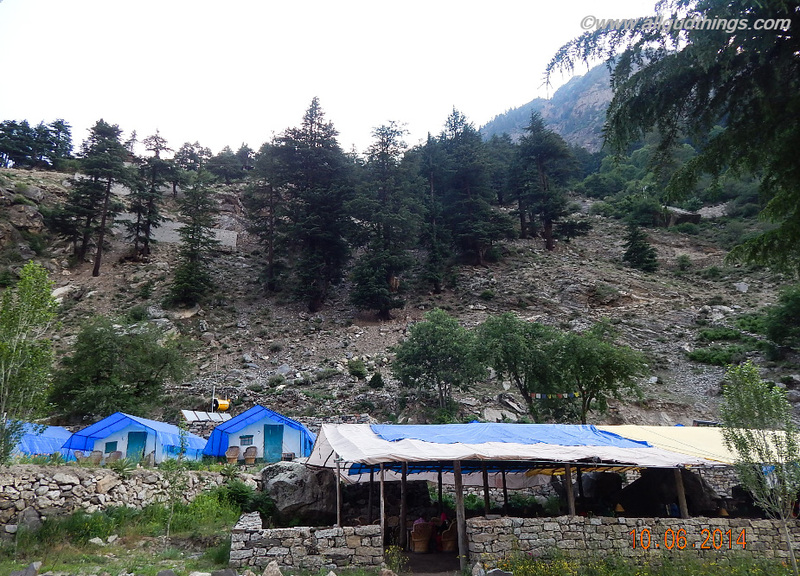 He laughed endlessly saying “Madam, even the poorest man here has at least 100 apple trees and you are talking about 5-10.” Now tell me, who is poor – we or people of Kinnaur, who live a tranquil life. The wooden houses with the slanting slopes and the colored tents gel up so well in the up and down landscapes. They look in deep combination with the deep blue sky and the surroundings around, giving a complete feel of being in the lap of nature. In between the way from Sangla to Chitkul, there are several valley bowls surrounded by tall peaks on sides and blue sky on the top. One might find a walking companion on the way. 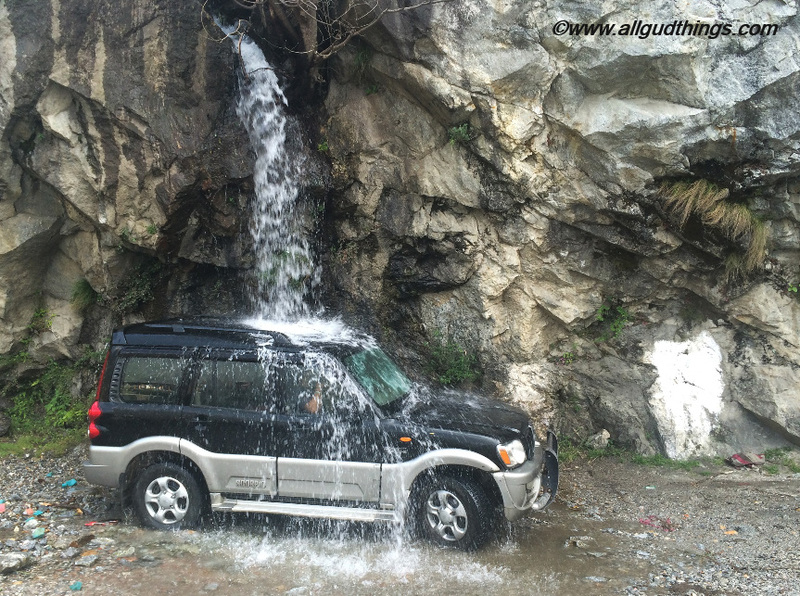 Even my Scorpio needed a bath, so why not it has some fun with the waterfall. I will say the coolest way to clean your car. The gurgling and gushing river Baspa; flow with a pride, protecting the valley and enriching the soil. The land here is favorable for apples, apricots, potatoes and other fruits. Explore and hike on the trails explored by Shepherds. The Shepherds bring their cattle down for grazing and also carry supplies for the army men, guarding at the border areas. 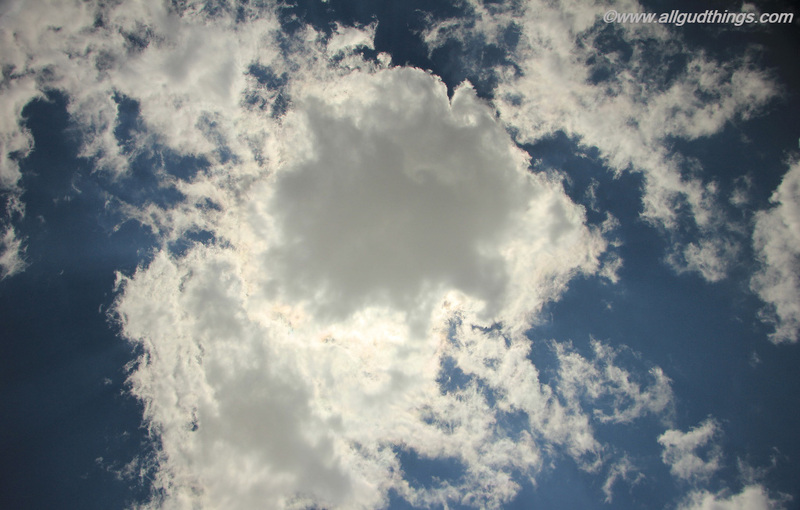 If you are someone like me, who likes searching figures in the sky and clouds then this is the perfect location for it. 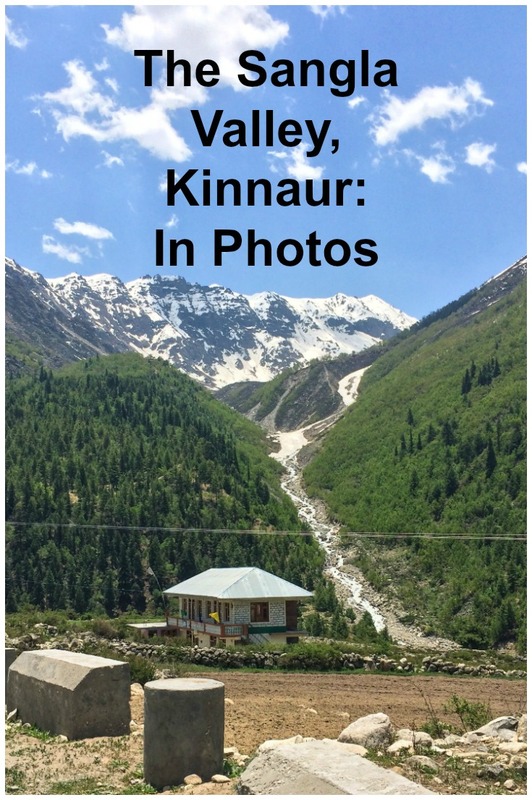 These are my impressions of Sangla valley, Kinnaur. What are yours? I love the photo of the car under the falls. That’s an instant car wash right there haha… I wonder if I would be satisfied if I was born and raised in a simple and quiet village like in the Himalayan. I agree they are richer when it comes to natural resources though. so how many apples did you get? Lovely pictures that capture the spectacular Himalayan landscapes. Really these regions are so pristine, they almost border on the divine. I would love to take my car to the falls for a shower too, much needed relief from the heat of the plains. Number six is a good snap!!! haha buton a serious note, the Sangla valley seems to be a very tranquil place. i think this is the place we need to get to to relieve our stress… in my country, to be able to go to a place a little somewhat like this, one needs long hours of road travel… i hope more of places like this be accessible 🙂 thanks for sharing! Wow this looks gorgeous! I love the mountains and this is so beautiful. Thank you for sharing! Wow, this is such a cool valley to amble around and explore more what it has to offer. I like those stunning Peak and I would love to climb them if its possible. The place looks so refreshing and clean. Thank you so much for sharing this with us. Wow that first picture!! I’m hoping I get to travel more this year! 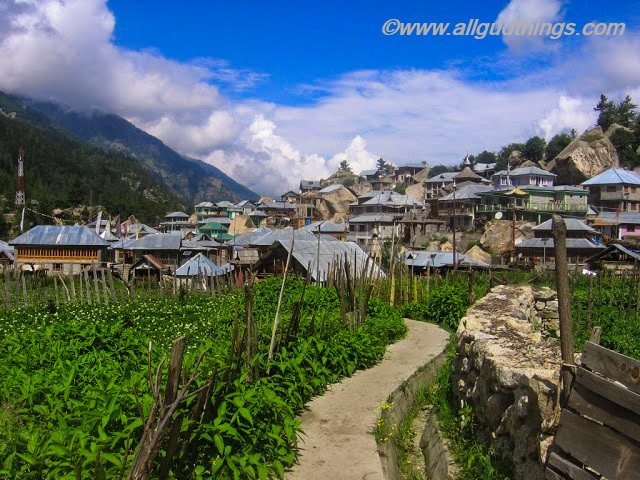 The coloured tents, wooden houses and Sangla Valley were my favourite photos of your trip. It looks like you had a fantastic time! What a lovely nature to explore! I would like to clean my car under that waterfall as well! I’ve read so many travel blog posts about south Asia destinations in the mountains lately, so many places that I haven’t heard of before, and it makes me feel ignorant. I love mountain areas, and so have to get to this part of the world. Sangla valley seems to be so beautiful and unexplored. I always like your writeup of such places. Not only you bring us closer to nature through these posts but also introduce us to lovely unexplored parts of India. Aside from the scenic place, I loved the unlimited water part.. hahahaha free car wash, and I think its quite beautiful hearing the water fall over your car while you are inside. I stayed in Kinner camps too. Blown over by Daleep negis’s hospitality. And the absolutely awesome food! The mountains look amazing! I have never heard of this place but it seems like such a wonderful place! Thanks for sharing! Such a beautiful area! Some day I will be doing a lot of hiking through this place! This valley is stunning! I think my favorite part was the apple orchard. Truly no one who has those trees could be really poor. But I love the waterfalls too. Great photos! Oh my goodness! This place looks right up my alley!! Kinnar Camp looks like a great adventure and I love exploring waterfalls and the great outdoors!! And apple orchards too?! I’m sold!! Beautiful pictures! I love the one with your car under the waterfall…so fun! wow, I always wanted to visit Himachal. These pics look spectacular! This. Article makes me want to.go there. From Chandigarh, it took us around 10-11 hours by car and another 4-5 hrs from Delhi. The roads till Kinnaur/ Sangla valley are too good. No issues at all. 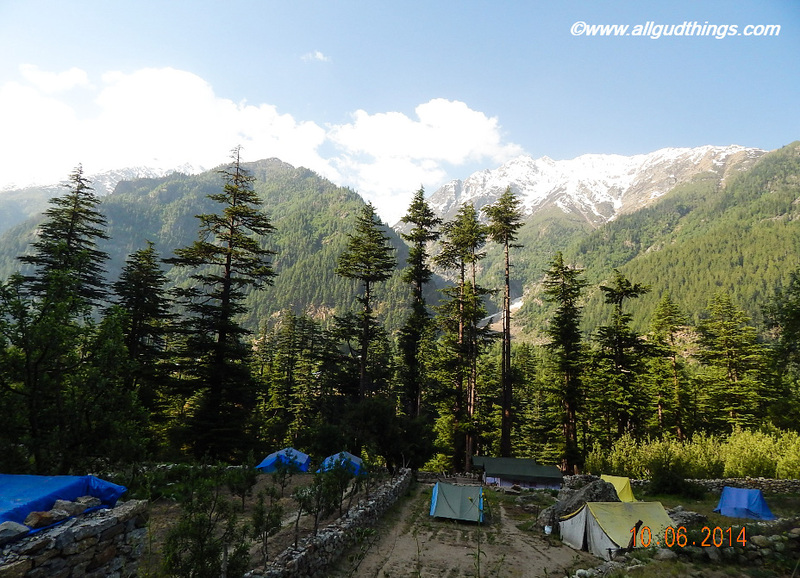 You have found a slice of heaven in Sangla valley, Kinnaur. Those pictures of huts with a backdrop of snow-clad mountains are awe-inspiring. We would love to visit those apple orchids and meet some of the shepherds with their grazing cattle sounds like a dream trip. What an amazing life isn’t it? They are even doing their bit for the country by carrying supplies for the army. I’ve never heard of this beautiful valley! It looks like a relaxing place for a getaway – overlooking the mountains from your covered tents would be an unreal experience. Gorgeous pictures! Loved the little valley with those small houses! That is one way to give your vehicle a wash! Those mountains look breath taking. The wooden houses are so cool to see surrounded by the mountains. What a great place to travel to. I’m glad you had so many good memories from the Sangla Valley. Ooh Gosh, those waterfalls remind me of Meghalaya. It is so refreshing to find them everywhere. Loved all your pictures. Kinnaur sure looks amazing. Was the apple harvest done when you went there? Such a breathtaking and stunning valley! I would love to go for a hike there! Sangla Valley looks absolutely splendid! Your pictures speak for itself how surreal it is! I loved that waterfall picture where you’re cleaning your Scorpio which is very innovative indeed! Stunning photos. I’m off to spiti Valley in 2 months and I cannot wait to explore it. Thank you for this post. Those are some stunning photographs. Would love to visit this place. Love the pic of the Bapsa River. What a gorgeous place. Wow! Lovely photos you have taken. Love the one of your car under the waterfall, I be that was fun to do. Kinnaur is known worldwide for juicy apples but the picturesque views and the colored tents and wooden houses look great! Wow the landscapes are amazing. I’m really glad I discovered this place through your lens, great pics! Awesome photos and lovely post. I had never heard of some of these places so thanks for the share! A few more to add to the list!